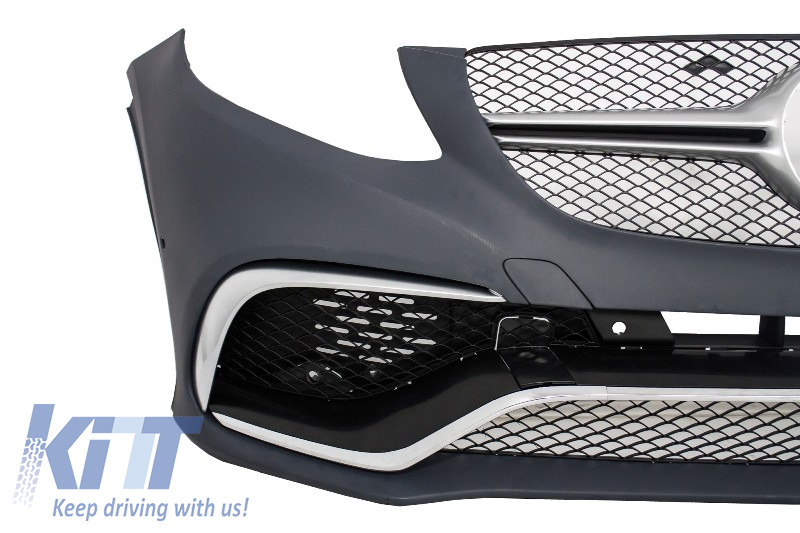 This body kit is meant to improve the look on your Mercedes and convert it into a genuine Mercedes AMG. 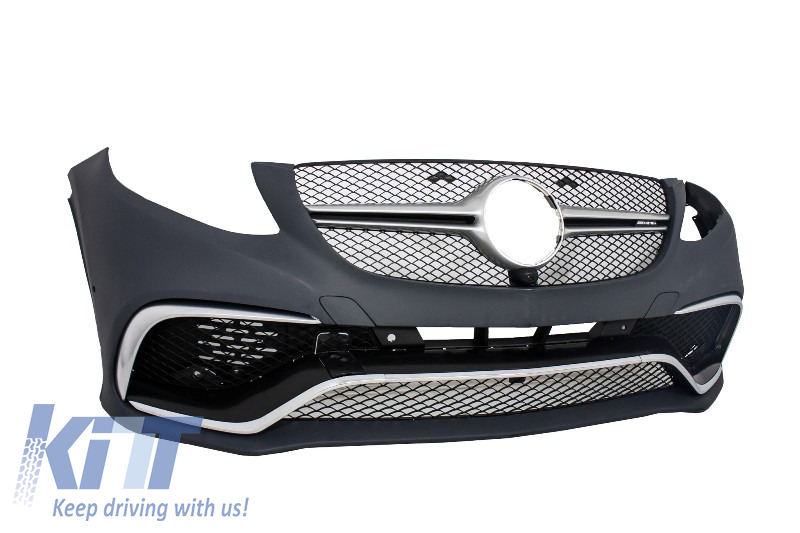 Front bumper AMG Design equipped with central grille, central-lower grille, side grilles, side fins, parking sensors (PDC) supports and supports for camera system. 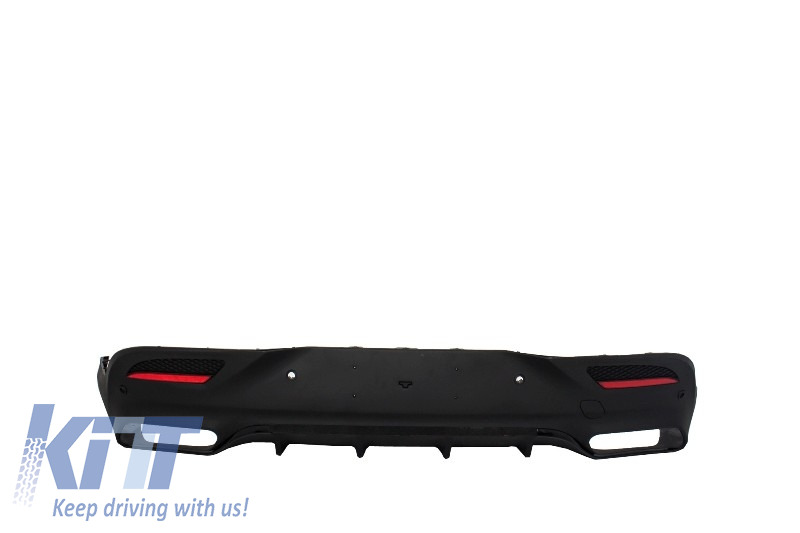 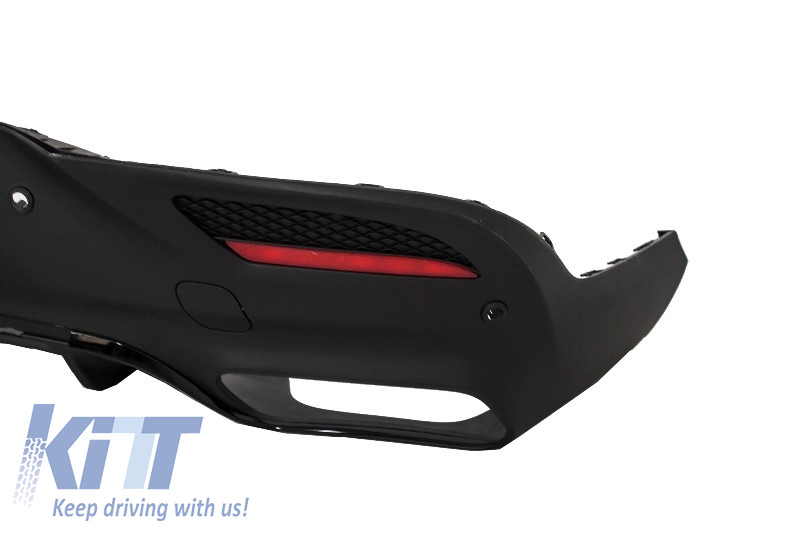 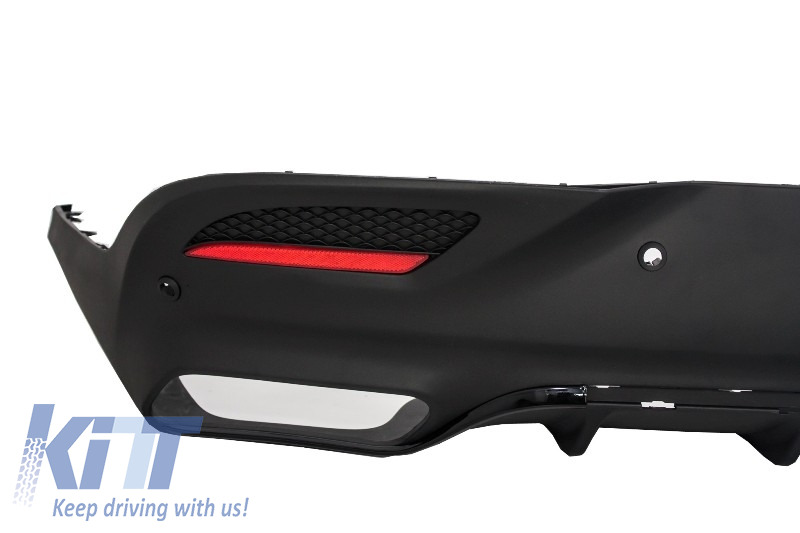 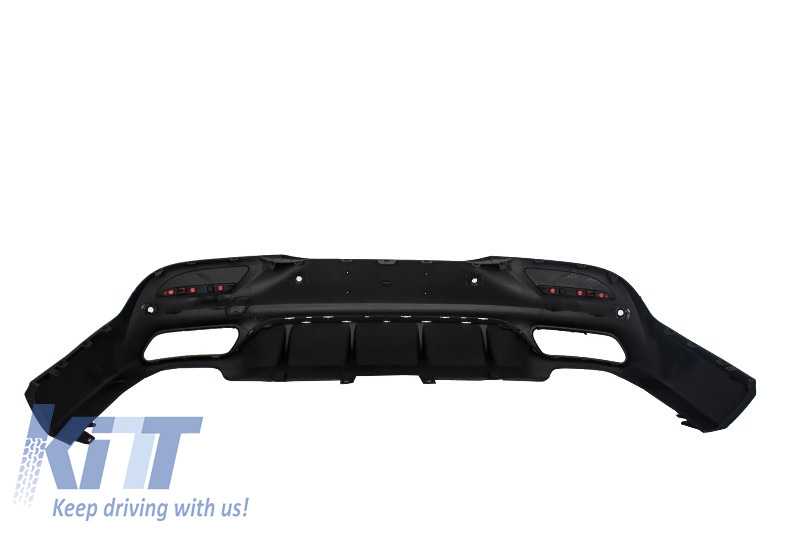 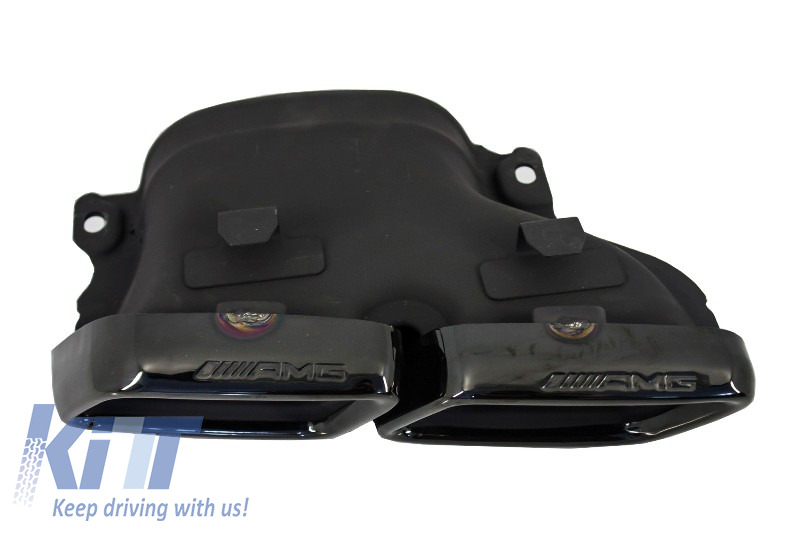 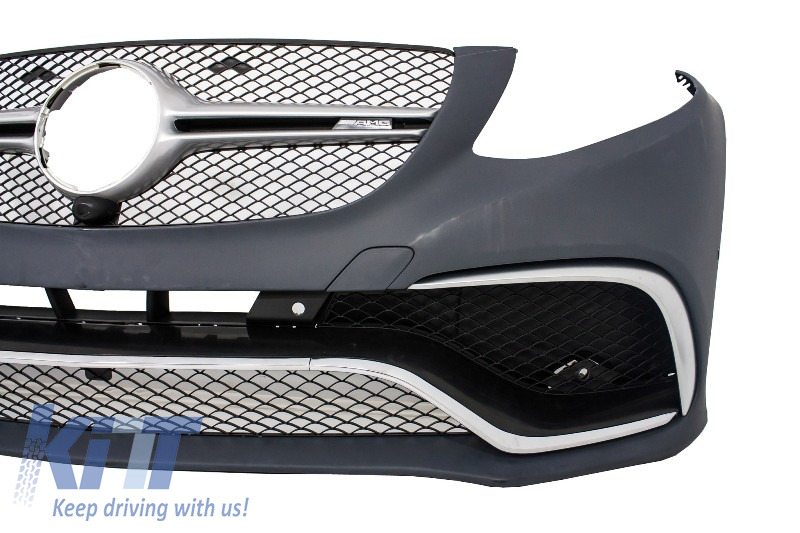 Rear bumper diffuser AMG Design equipped with twin outlet air diffuser, supports for parking sensors (PDC). 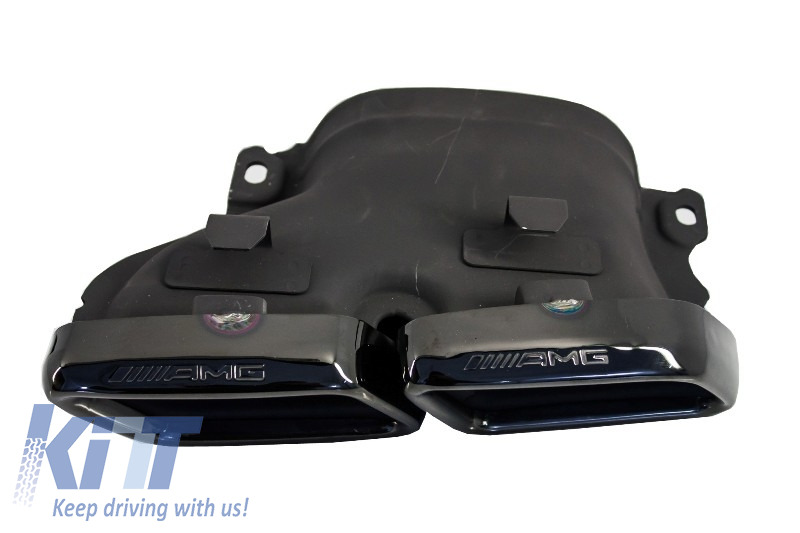 Muffler Tips AMG Design in shadow black. 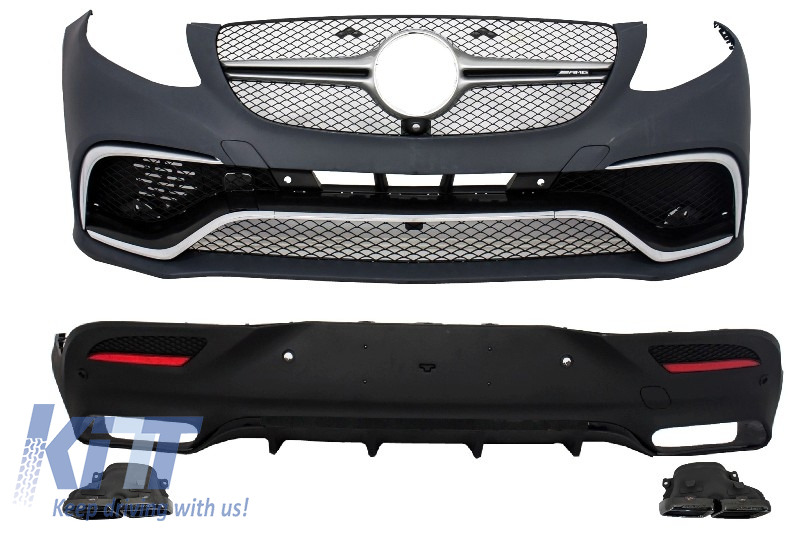 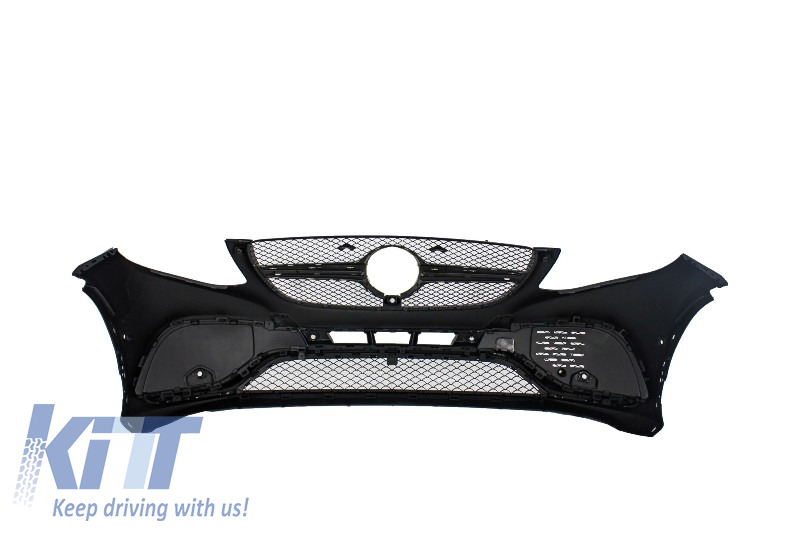 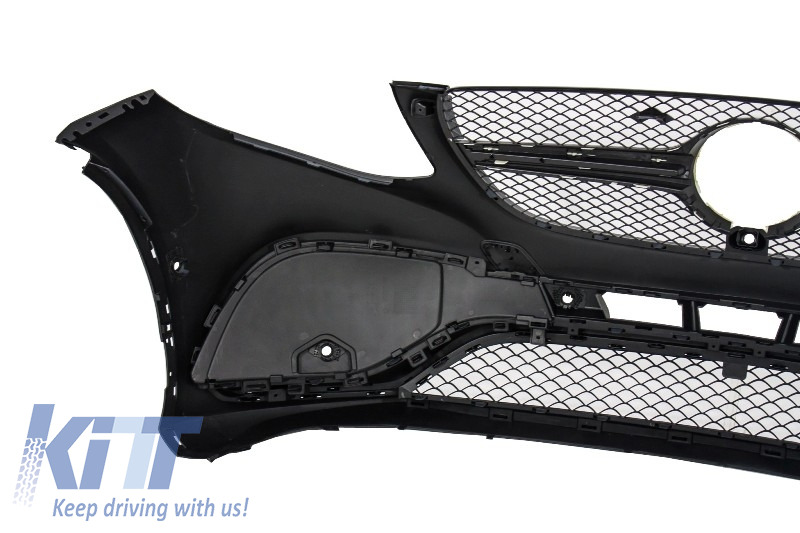 Central lower grille and side grilles are made from high quality ABS plastic. 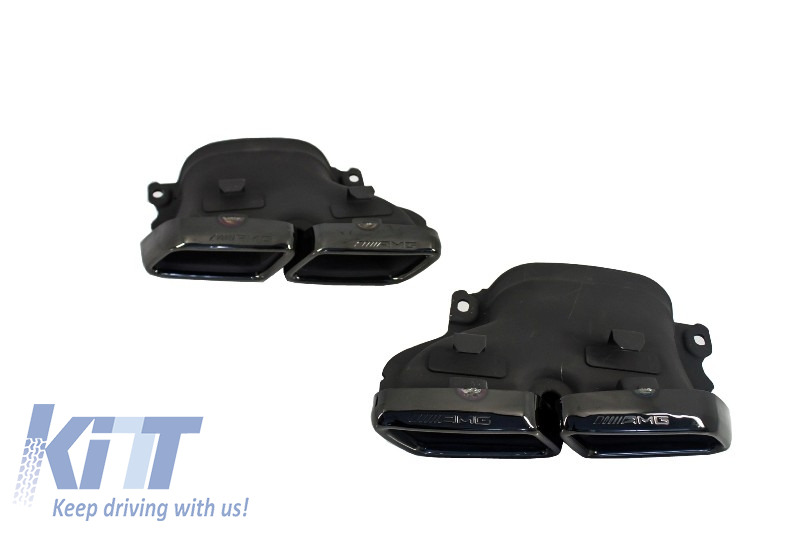 Muffler tips are crafted in high quality polished 304 stainless steel. 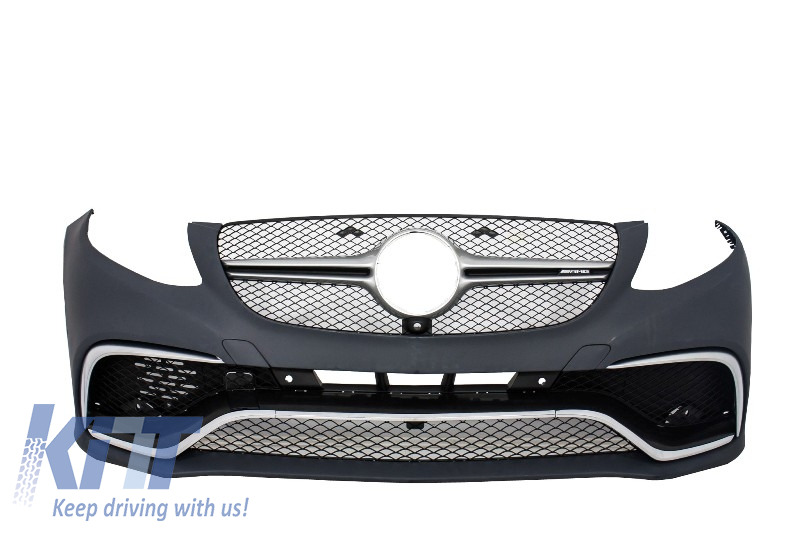 Buy it now Complete Body Kit Mercedes Benz GLE Coupe C292 2015+ AMG Design!